Is Your Website Chasing Away Mobile Users? 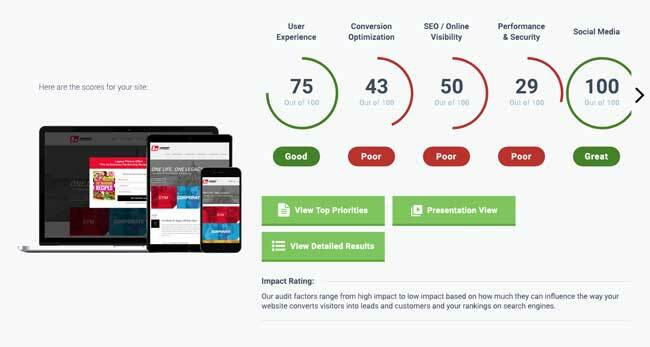 Is now the time to make your website mobile responsive? The answer to that question is an emphatic “Yes.” Yes, Yes, Yes!!! Okay, so what is a responsive website? Well, it’s what we call a website that can expand and contract based on the device or the monitor that is viewing the website. If your website is not responsive or mobile friendly, it’s actually too late. Kinda..
No matter what you’re doing online, you need a mobile website. As of 2014, it’s no longer a bonus but a necessity. The number of mobile users is growing every year. However, when it comes to designing your mobile site, there are some key differences from designing for a large monitor. If you don’t follow these rules, your site may be chasing away mobile users and losing business. Have you ever tried to look at a busy, complex website on a tiny smartphone screen? It’s exasperating. If a site is too complicated or stuffed with too much content, it’ll drive mobile traffic away. Your site should be clean and simple. The most important information should be prominently displayed as close to the top as possible so people will see it quickly. 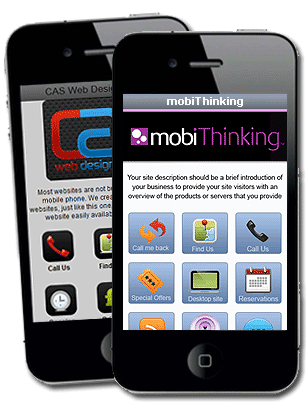 As with your desktop website but probably more so, your mobile site should have very clear calls to action. This is even more important for service sites like contractors, plumbers, and physicians. Buttons that direct users to Call Now or Get Directions are crucial to your site’s success. You will lose customers. Navigation for mobile users should be easy as well. All of your website’s pages should be no more than one or two clicks away from the front page. It should be obvious to your visitors where they’ll end up when they click somewhere. Make it intuitive and don’t make them guess where they might go. If mobile users have to zoom to read anything, this means your text is too small. If they have to scroll from side to side, they won’t bother. Websites optimized for mobile devices should present information in rows. Everything you want them to see should be easily visible immediately, especially contact information and links. Don’t make users type too much. If you’ve got a sign-up form, make it as simple as possible with just a few fields to fill out. Even better, use QR codes. These are modern-day bar codes. When they scan the code with their phone, it automatically takes the action for them (for example, signing them up to your list). Your site needs to have a very fast load time; whether on a mobile device or a desktop really. Don’t put any big or high-resolution pictures on your site that might slow it down. Also, make sure you don’t have anything that’s auto-play or auto-load. Use the slimmest files possible. Mobile users don’t have the patience to stand around waiting for your site to come up. Three seconds is a long time! It’s good to consider touch screens when designing your site, especially since many phones are all touch and no buttons. Put your clickable ‘buttons’ in places on the page where they’re easy to tap with a thumb. There’s some disagreement about where the sweet spots are, but you can discover them yourself by split-testing. Experiment with a couple of designs and see which gets better results. The best way to see if your site is good for mobile devices is to test it out. View it on several different phones and see how it looks. How easy is it to navigate? Again, remember that mobile users have even shorter attention spans than desktop users and everything needs to be easy to see and touch.